Eyelander online: a therapeutic video game for vision therapy. 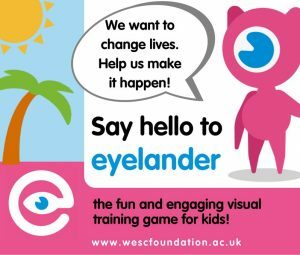 WESC Foundation – The Specialist Centre for Visual Impairment based in Exeter, Devon, is excited to launch a new therapeutic computer game called Eyelander. Eyelander is a browser game designed specifically to help young people with visual field loss caused by Cerebral Visual Impairment (CVI) to use their vision more effectively. Eyelander was designed by scientists from WESC Foundation and the University of Lincoln who were motivated by the desire to take existing therapies used to rehabilitate adults with visual field loss and make them more engaging for younger parrticipants. The behavioural therapy that Eyelander is based on trains players to move their eyes more efficiently and through regular practice this exercise can improve performance on daily activities that require good vision, such as walking more safely in a crowded environment. WESC Foundation wants to raise awareness of this potentially life-changing project with the ultimate goal of improving access to effective vision therapy for visually impaired young people, but they need your help. WESC Foundation would like visually impaired young people to play the game and take part in a research study to gather data that will advance their understanding of the complex challenges faced by young people with visual field loss. If you have visual field loss, are a parent with a child who has visual field loss, or know anyone who might be interested in taking part in this research project then please visit www.eyelander.co.uk to register and play the game. 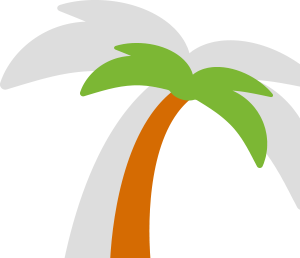 Eyelander does require a laptop or desktop computer with a modern browser installed to play. For more information please contact Dr Jonathan Waddington, WESC’s Research Scientist, by email at: eyelander@wescfoundation.ac.uk.